Nothing is more certain than Burnley finishing in a lowly position in the northern group of the Professional Development League but, ahead of today’s game against Colchester United, Michael Duff’s team have given themselves a chance of moving away from bottom place having won four of the last seven games. Since last week’s review of the league, Barnsley, who are currently next to bottom, have been beaten by Crewe while, two days later, we beat Crewe and that’s left us one point behind Barnsley with a game in hand. Our game at Colchester today is one of eight fixtures in the league but Barnsley don’t play and a win for Burnley would move us off the bottom for the first time in a while. It’s the second of six games in April to end the season and four of these last five are away from home with the key one coming at Barnsley a week on Friday. Although, with Colchester being in the south group, this is our only league meeting this season, we’ve played them twice in the Premier League Cup and neither were close affairs. We beat them 4-0 at Curzon Ashton back in November. 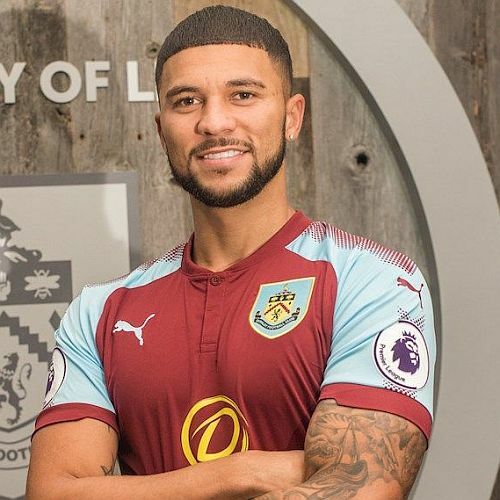 Nahki Wells (pictured) scored a hat trick that night with the other goal scored by Tinashe Chakwana. However, a 3-0 reverse at Colchester in February ultimately cost us our place in the knock out part of the competition. Colchester themselves are not having the best of seasons in the league. They are currently next to bottom of the south group and have lost their last four games. It is very unlikely that they will drop into bottom place; they currently have an eight point lead over Bristol City and with two games in hand. The cup tie was played at their stadium but today’s game, which kicks off at 1 p.m. will be played at Florence Park, Colchester’s training ground, which is at Grange Road, Tiptree, CO5 0UH.